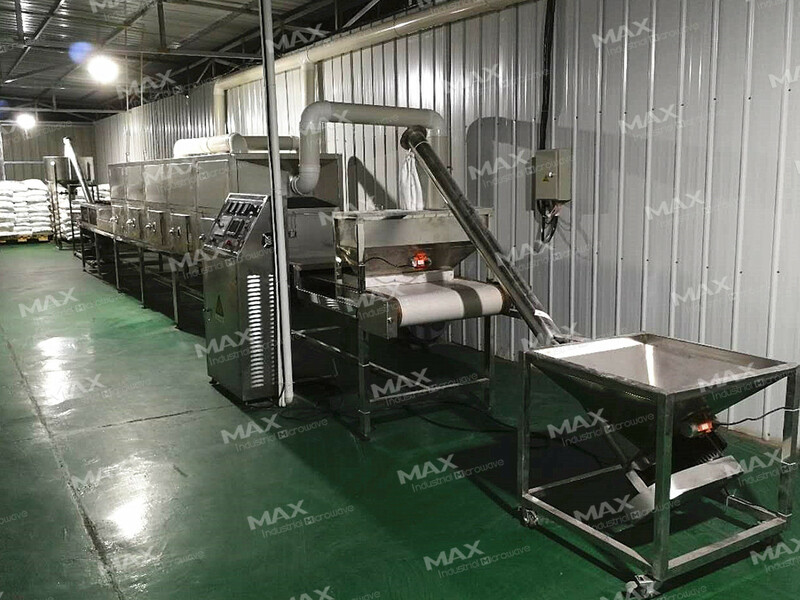 Moreover, the major advantage of industrial microwave heating is that it interacts directly with food grains and significantly reduce the amount of time required for food grain to reach the lethal temperature for insects as compared with conventional heating method. There are also some concerns about microwave might destroy the food grain protein. There were also reports by several researchers that no significant difference in the quality of grain protein, flour protein, flour yield, and loaf volume of sample was found when treated with microwave energy at which 100% mortality was obtained. Feasibility of microwave disinfestation of insect pests has been used for wheat, maize, flour weevils, rice, buckwheat and other food grains. It can also avoid flour lumps after microwave heating process.